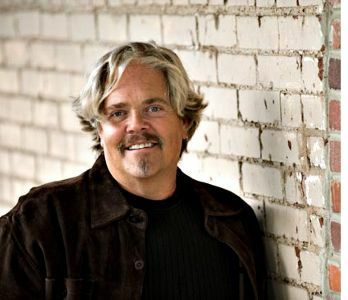 Dalton, GA -- Bluegrass Bands Helping Hands has announced The John Cowan Band will be performing on Saturday June 9, 2012 at the Historic Dalton Freight Depot. The 7pm concert is a Bluegrass Bands Helping Hands production with proceeds benefiting The Miracle League of Whitfield County. Bluegrass Bands Helping Hands benefits the jobless through a North Georgia non-profit organization DOC-UP (The Dalton Organization of Churches United For People). Bluegrass Bands and Helping Hands LLC is committed to a mission of community service and preservation of American roots music. The group has released three CDs of bluegrass music and uses the benefits from the sales of the music to benefit the communities. The 2010 CD is a unique collection of 22 donated tracks from various bluegrass artists including Grammy Songwriter Louisa Branscomb, 2006 IBMA Daughters of Bluegrass Recorded Event of the Year winner Jeanette Williams, and 5-time Eastern Canadian Bluegrass Association's "Female Vocalist of the Year" Janet McGarry. The CD is a showcase for many regional performing and Georgia bluegrass artists. The most recent project (2011), Big Leagues - Volume 3 is a fantastic collection of 16 donated tracks featuring traditional bluegrass, gospel bluegrass, and contemporary bluegrass and beyond. Performing artists include: Earl Brackin, Mark "Brink" Brinkman, Greg Brooks, Becky Buller, The Dixie Bee-Liners, Jim and Valerie Gabehart, The Hillbenders, Jubal's Kin, Jean-Luc Leroux, The Lone Mountain Band, Milkdrive, Rich In Tradition, Frank Solivan and Dirty Kitchen, Special Consensus, Valerie Smith and Beck Buller, and Donna Ulisse. In October, Mountain Heart, Missy Raines & The New Hip, The Farewell Drifters, MilkDrive, Steel String Session, Gary Stanley Jr., Rightpath Bluegrass Band and Spatial Effects performed at the Downtown Dalton BBQ and Music Festival to raise awareness of this worthy cause. In continuing their support for community and music, Bluegrass Bands Helping Hands is presenting an evening with the John Cowan Band. Bluegrass, Newgrass, Gospelgrass, Soulgrass, Rock N' Rollgrass...true innovators like John Cowan break boundaries and personify innovation. John's ability to take audiences on a musical journey through multiple genres has made him one of the most unique and universally loved and admired vocal artists of his generation, not just by fans and critics, but by fellow artists. On his own, John was free to give his creative muse full rein. He recorded a series of critically acclaimed albums spanning the musical spectrum, often bending and blending genres. In early 2010 the Doobie Brothers came calling and John put his band on a smaller schedule and resumed permanent member status with the Doobies and since has toured the world, playing Japan, Australia, Europe and the US & Canada. As the 21st century began, John found himself coming full circle, returning to his roots in Newgrass and forming the John Cowan band. John comments, "Our music has evolved organically, it's rooted in my Newgrass days but I'm also exploring and breaking new ground as well. These guys are very talented and I love playing with 'em...of course the true measure is the fantastic response we've gotten from audiences on tour, we love performing, it's food for the soul." And, upon further reflection, John adds, "What we did back in the NGR days was unique...we weren't really playing Bluegrass, we were playing contemporary music on traditional instruments. Our vision was to take acoustic music somewhere new. The Friends of Bluegrass Bands Helping Hands simply put are individuals who care enough about the music that we are bringing to Dalton and our underlying mission to minister to the needy that they do more than purchase a ticket. Our friends help take tickets at the door, donate meals to feed the musicians, donate services to help market and promote our events, provide matching gifts and yes even write an extra check to help us underwrite our show expenses. Limited seating available. Tickets may be purchased at the Dalton Freight Depot gift shop or by clicking here.